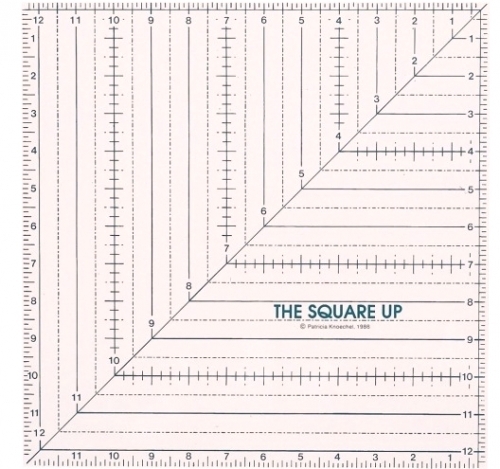 This ruler is ideal for helping you make perfect squares in sizes up to 12-1/2-inches. Ensure that your quilt tops lie flat every time, carefully square up your blocks before putting them together! By squaring up each unit as you complete it, your finished blocks will fit together perfectly. Use the vertical, horizontal, and diagonal lines to square up any twelve and a half inch pieced, appliqued or embroidered block. 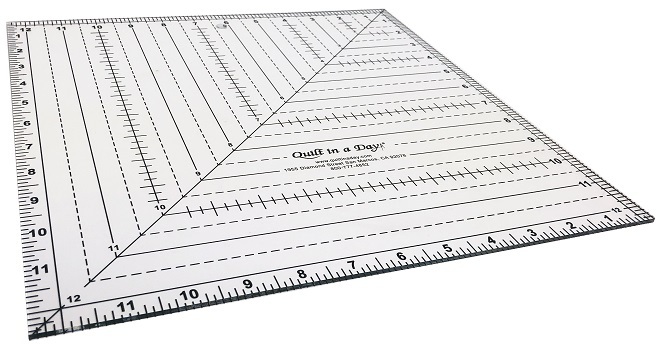 The Ruler has 4 cutting edges, all with quarter inch seam allowances for a perfect finished 12 inch block. 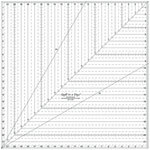 Ruler has clear 1 inch and half inch markings for accurate measuring. The Ruler is made of heavy gauge acrylic and is laser precise.